Demonstrators in favor of protecting Dreamers. (Eduardo Munoz Alvarez/Getty Images). Other than for venting purposes, a statement to end DACA talks was hardly necessary. 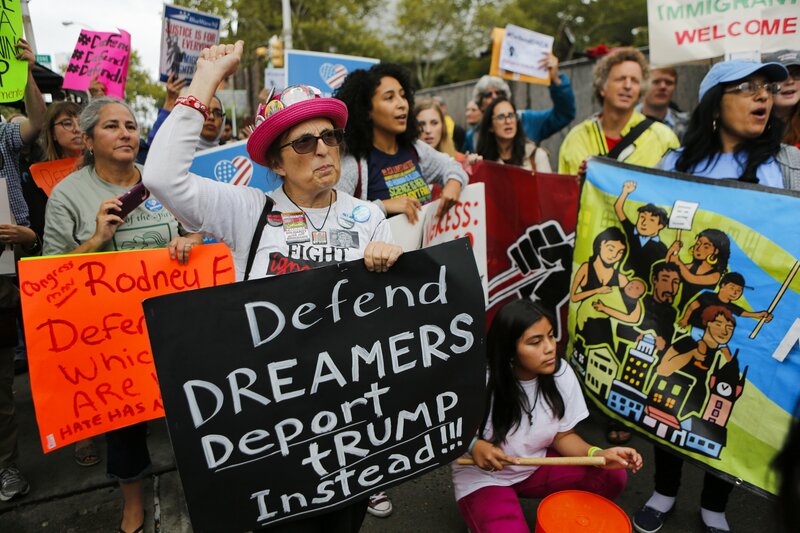 The last negotiations on codifying the Obama-era program occurred earlier in the year, but ended without a deal to shield so-called ‘Dreamers’ from deportation. For a program supported by nearly 9 out of 10 Americans, it seems absurd that Congress cannot find a permanent solution. In fact, it is absurd. But that does not mean that DACA negotiations should conclude. Permanent protections under the program are not only warranted, but congressional action would create a sense of certainty within our faltering immigration system. So, if DACA talks are to resume, it is prudent to examine the faults of the negotiating parties to build a pathway toward reform. And there is plenty blame to go around. Perhaps it is best to start at the top with the president. Before taking office, Trump often spoke about his proficiency in the art of negotiation. But several of his negotiations as president have suggested otherwise, especially the talks on DACA. After rescinding the program last fall, Trump gave Congress a six-month window to draft a new bill. Trump also tweeted that he would later “revisit” the issue if needed, signaling his willingness to reinstate DACA in case of congressional inaction. This pledge to “revisit” DACA immediately compromised Trump’s negotiating stance with Democrats. With that statement, Trump assured Democratic leadership that their primary goal- protecting Dreamers- would be accomplished even without passing a bill. In other words, Democrats could claim victory without making any concessions, or allowing Trump to take credit for signing a law that protects immigrants. Simply, Trump eliminated the incentive for Democrats to negotiate before talks even began. Trump also failed to control the narrative on DACA. As president, Trump has the unrivaled ability to address the nation- without interruption- to convey his policy goals. From the beginning of the DACA negotiations, it was clear that Trump’s vision favored the Dreamers. In fact, Trump initially extended Democrats a remarkable offer: instead of granting legal status to current DACA recipients, he would agree to a path to citizenship for nearly 2 million Dreamers in exchange for border wall funding, limits on chain migration and termination of the visa lottery system. This offer far exceeded the scope of President Obama’s order and the wishes of pro-immigration liberals. To garner the support of left-leaning voters, and pressure congressional Democrats into accepting his proposal, Trump should have used his bully-pulpit to promote his plan. The administration, however, did not put forth a concerted communications effort for DACA. This failed to convey the generous nature of his proposal and create enough constituent support to force Democrats to the bargaining table. Lastly, Trump has proven to be an erratic negotiator whose position can change by the hour. 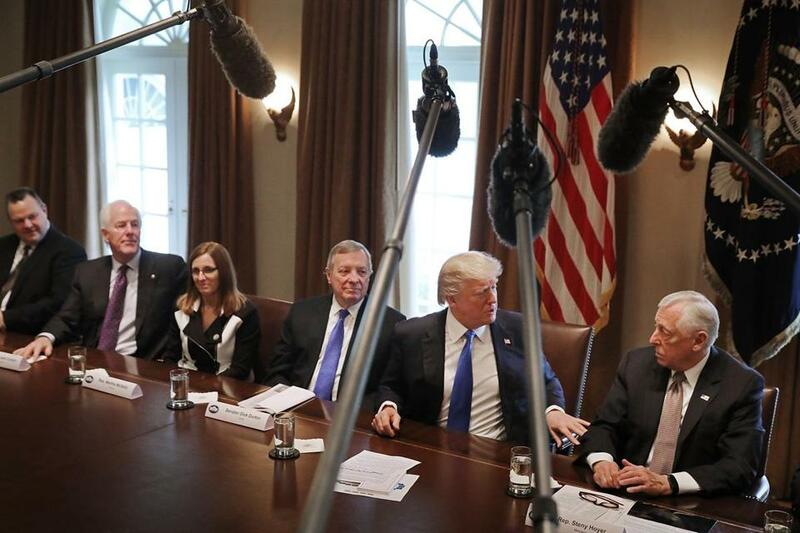 On several occasions, Trump has left members of Congress unsure of his opinion on policy. One example was proposed 2017 legislation concerning health-care subsidies. “The president has had six positions on our bill,” an exasperated Sen. Patty Murray, D-Wash., said after Trump offered multiple reads on the bipartisan plan. Trump’s inability to provide consistent policy guidance creates instability at the negotiating table. With DACA, Democrats likely questioned- and for good reason- whether Trump’s offer of citizenship was legitimate. This lingering doubt probably made negotiating in good faith a difficult task. Trump’s negotiation follies, however, were matched by the Democrats’ own shortcomings: namely insincerity at the negotiating table, acquiescence to their radical faction and animus for the president. Before entering talks on DACA, Democrats sought to achieve several goals, including making the program permanent and limiting concessions on border security. During negotiations, however, Trump’s offer of citizenship for Dreamers exceeded those demands. Trump’s shocking proposal immediately conceded the negotiation to Democrats, who could have walked away with a clear victory in exchange for a few minor concessions. But the proposal was rejected with no legitimate counteroffer. This indicated that Democrats were not there to bargain in earnest, but rather to prevent Trump from signing a bill that benefits people they hope to court in future elections. Democratic leaders at a press conference during DACA talks. (KTLA.com). The Democrats dismissal of Trump’s offer relates to their second fault: assenting to the demands of the radical faction of their base. The rise of Trump has included the ascension of a far-left faction of the Democratic Party. This group is highly motivated by the president’s actions, and has responded to his conduct with great alacrity and intransigence. To their credit, the faction is energized and has captured the attention of Democratic lawmakers concerned with midterm elections in the fall. But this recognition has also bought these radicals a seat at the bargaining table, in the form of the electoral pressure they place on Democratic lawmakers to resist the president. In turn, this likely contributed to the rejection of Trump’s citizenship offer, one that should have delighted even the most left-leaning voter. The animus held by liberals toward the Trump administration is also shared by many Democratic lawmakers. Undoubtedly, this antipathy is a result of constituent pressure, but it also flows from the party’s platform of resistance. This consistent state of opposition creates a sustained sense of combat with the administration. Without question, a constant state of partisan warfare virtually eliminates the ability to compromise at the negotiating table. It is likely that many Democrats brought this combative mindset to the DACA negotiations, which helped undermine the discussion before it began. In all, assigning responsibility for the failed DACA talks offers only a starting point for a future deal. Members of both parties should learn from the negotiations to determine whether they bargained based on self-interest or for the benefit of their constituents. Both parties exhibited actions of self-preservation and partisan rancor that interfered with their ability to fashion a DACA bill. This led, unfortunately, to the shelving of public demand for immigration reform and concern for the Dreamers. And therein lies the real shame surrounding the failed DACA negotiations: the current preference for partisan hatred won over the chance to achieve a rare moment of unity and to protect the interests of the Dreamers who wish to be part of American society. Here’s hoping this blunder is fixed very soon.